Published February 2016 by Macmillan. Goodreads Synopsis: I was brave. She was reckless. 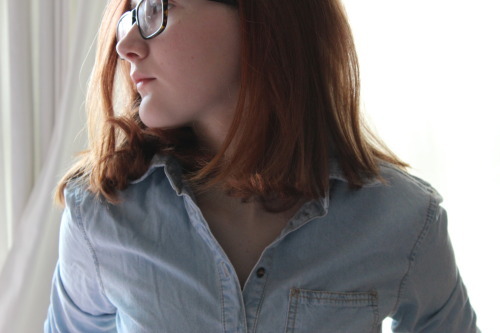 We were trouble. But the course of both friendship and recovery is rougher than either girl realises, and Caddy is about to learn that downward spirals have a momentum of their own. My Review: Beautiful Broken Things had been on my to-read list ever since I saw its beautiful cover in late 2015! I’m very much a ‘judge a book by its cover’ type. I actually went into the book knowing very little about it, other than that it was about friendship, and by my guessing, would be quite a sad read. It took me a while to read this because it was the first book I read after exams; the last two months have been a massive reading slump and I’ve been so out of the loop, and out of the reading mindset. However, on a long bus journey the other day, I devoured over half of the book. Sara Barnard really draws the reader in, and gets them totally engrossed in the story. Beautiful Broken Things follows the story of Caddy, who is living what she feels is a boring, average life. When her best friend Rosie introduces her to Suzanne, a new girl to Brighton, everything begins to change. Suzanne went through some horrible things before moving to Brighton with her aunt, and Caddy finds herself drawn to her, wanting to be there for her. Events begin to spiral out of control – and nothing’s the same. The premise of the story was brilliant. Even though I did think the story was a little predictable, I still found myself feeling for the characters are the story played out. I loved the setting; it feels like Barnard’s debut is like a love letter to Brighton, highlighting its beautiful places in the pivotal scenes of the story. The characters are all really well developed and felt very real to me, but for some reason I just didn’t connected with them like I’d expected to. Especially Suzanne. It’s not that I explicitly didn’t like the protagonists, but some of the decisions they made just didn’t add up for me and I felt a bit detached from them. I feel like if I’d grown to love them more, this book would have deeply impacted me much more. I purchased a copy of Beautiful Broken Things. 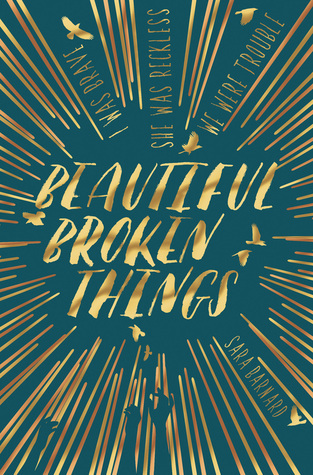 This entry was posted in Book Review and tagged 2016 release, beautiful broken things, book review, contemporary, friendship, macmillan, mental health, sara barnard, ukya, YA on July 13, 2016 by Gee. This book has been on my tbr too and I have read mostly positive reviews about it. Can’t wait to read it myself!